The Louisiana Department of Health is coming under fire after the release of a new report that details potentially $2.4 billion in fraud and negligence within the state’s Medicaid program, expanded under Obamacare by Gov. John Bel Edwards when he first took office. The report was completed by the nonpartisan Louisiana Legislative Auditor’s Office (LAO) under Legislative Auditor Daryl Purpera. After reviewing five years worth of documents, auditors uncovered a plethora of mismatched records irreconcilable with state spending. For example, they found 41 million paid claims, totaling $2.4 billion dating from October 2015 to December 2017, which had no valid provider identification number, meaning the LDH couldn’t determine if the billed medical services were legitimate. Additionally, the auditors uncovered more than 194,000 claims totaling $13 million with provider types that did not match their associated specialty codes, meaning claims were paid for unidentified services. They also found $136 million in paid claims where a registry showed that a provider wasn’t enrolled with the managed care organization that made the payment, meaning a provider shouldn’t have been paid by an organization with which it was not affiliated. Auditors also found claims totaling $587 million paid to healthcare providers who were not linked to a managed care plan, meaning the state does not know to whom or why these providers were paid. About 33 percent of Louisianans – 1.6 million people – receive $8 billion in Medicaid coverage annually. In 2016, The Pew Charitable Trusts reported that 24.3 percent of Louisiana’s tax dollars funded Medicaid. In 2017, the Department of Health and Human Services issued a warning that improper payments to states accounted for 12 percent of total Medicaid spending. 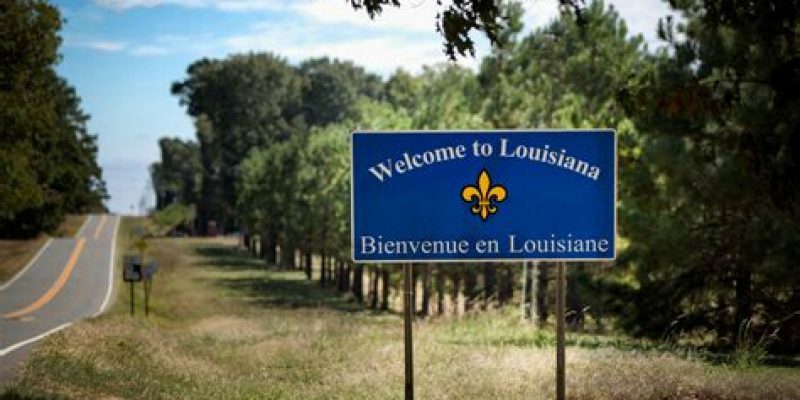 According to conservative estimates, Steve Gardes, CPA and partner at the Lafayette-based Darnall, Sikes & Frederick firm, and Medicaid reform activist, argues that Louisiana’s share of this potential fraud in 2017 cost taxpayers at least $380 million. Gardes also clarified the difference in cost between the national average of Medicaid payments to that of Louisiana. Nationally, Medicaid’s annual cost in 2017 to provide limited financial coverage of some healthcare services to about 20 percent of Americans was $595 billion. It is expected to exceed $1.1 trillion by 2026. In Louisiana, Gardes said, the annual cost of Medicaid in 2008 was $1.7 billion. In 2018, it’s $3.3 billion. In 2026, it’s projected to cost $6.1 billion. Following months of legislative debate over increasing taxes, and threats by Gov. Edwards to turn the elderly out of nursing homes, and the state’s head corrections official threatening to release 10,000 prisoners, fiscal conservatives are crying foul, specifically in light of the LDH audit findings. Kennedy is considering a run against Edwards in next year’s governor’s race. Gardes has repeatedly argued that Medicaid is nearly bankrupting Louisiana’s and the federal government’s budgets. He’s met with the State Attorney General and Purpera, as well as other elected and law enforcement officials, with the hope of implementing a state Medicaid fraud system. Earlier this year, Purpera testified before the Louisiana Senate Finance Committee amid discussions about Rep. Sherman Mack’s bill, HB 88, which criminalizes government benefits fraud. Such fraud is already illegal under state and federal statutes but Mack’s bill was introduced to make it easier for the Attorney General’s Medicaid Fraud Unit to prosecute recipients who fraudulently received Medicaid. Purpera said that $500 million worth of Medicaid payments covered 83,000 people who are unqualified to receive Medicaid. They received Medicaid coverage because of falsified, inaccurate, or inconsistent income tax information, Purpera said, and because tax information is not shared among several agencies. Purpera also noted that only 39 percent of Louisiana Medicaid recipients filed a federal tax return, meaning that the number could be much higher than 83,000. Last fall, the Task Force on Coordination of Medicaid Fraud Detection and Prevention Initiatives met to discuss how the LDH could improve its record keeping. The agency stated its computer systems were inferior, which is why it only referred 18 fraudulent cases – out of at least 208,000 that the LAO identified – in 2016 to sheriffs. The cost to taxpayers for Medicaid payments made for ineligible recipients, the Task Force noted, was about $1 billion. This month, Attorney General Jeff Landry’s Medicaid Fraud Control Unit announced the arrests of those involved in the 18 cases identified in 2016. The action was the largest health care enforcement action taken to date by the joint Department of Justice and HHS Medicare Fraud Strike Force. To date, the MFCU is the only state agency actively attempting to prosecute Medicaid fraud. The LDH website has a link where the public can report fraud.